Start off your visit on the 18th (Sat): take a stroll through Balad, then don't miss a visit to Gallery One, and then buy something for everyone on your list at Red Sea Mall. To find reviews, other places to visit, where to stay, and more tourist information, refer to the Jeddah travel planner. If you are flying in from Saudi Arabia, the closest major airports are King Abdulaziz International Airport and Ta’if Regional Airport. In November, plan for daily highs up to 38°C, and evening lows to 27°C. 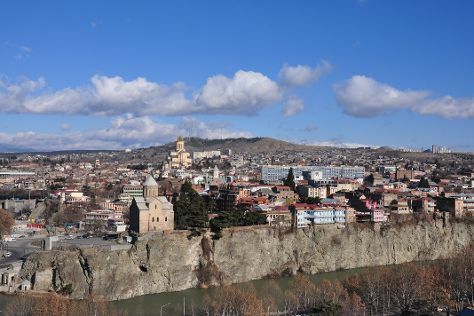 Wrap up your sightseeing on the 19th (Sun) early enough to travel to Tbilisi. Kick off your visit on the 20th (Mon): take a memorable drive along Rustaveli Avenue, then appreciate the extensive heritage of Old Town (Altstadt) Tbilisi, then explore the historical opulence of Narikala Fortress, and finally look for gifts at Gallery 27. On the 21st (Tue), you'll have a packed day of sightseeing: take an in-depth tour of Georgian National Museum and then pause for some serene contemplation at Tsminda Sameba Cathedral. To see other places to visit, photos, ratings, and more tourist information, refer to the Tbilisi travel itinerary planner. The Route module can help you plan travel from Jeddah to Tbilisi. Traveling from Jeddah to Tbilisi, you'll lose 1 hour due to the time zone difference. Traveling from Jeddah in November, expect Tbilisi to be much colder, temps between 14°C and 5°C. Wrap up your sightseeing on the 21st (Tue) early enough to travel to Yerevan. Step out of the city life by going to Hayravank Monastery and Mount Aragats. 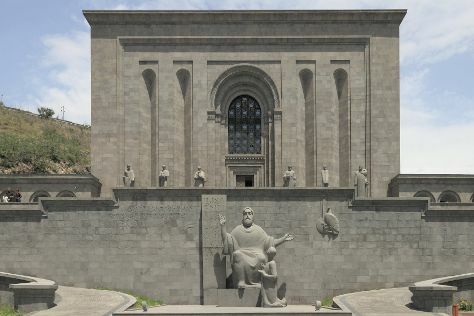 Satisfy your inner culture vulture at Matenadaran - The Museum of Ancient Manuscripts and History Museum of Armenia. Step out of Yerevan to go to Geghard and see The Monastery of Geghard, which is approximately 58 minutes away. And it doesn't end there: take your sightseeing to a higher altitude at Caucasus Mountains, examine the collection at Parajanov Museum, get a taste of the local shopping with Northern Avenue Pedestrian Street, and browse the exhibits of Armenian Genocide Museum. To find more things to do, maps, traveler tips, and tourist information, read our Yerevan vacation trip planner. You can fly from Tbilisi to Yerevan in 3 hours. Other options are to take a bus; or drive. Traveling from Tbilisi in November, Yerevan is slightly colder at night with lows of 0°C. Wrap up your sightseeing by early afternoon on the 25th (Sat) to allow enough time to travel back home.